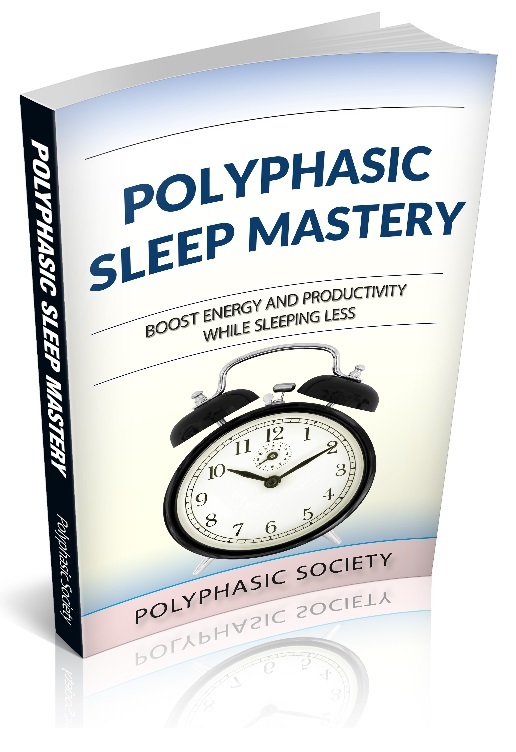 Write your testimonial for polyphasic sleep in the comments section! I started polyphasic sleep in 2010, and started with Uberman and E3. Uberman wasn’t sustainable for me, but it changed my life for the better, as my mild concentration and depression issues both lifted, and it helped me organise my life better. When I switched to E3 I felt better than when I was either uberman or mono. Since then, following a structured lifestyle, and aiming for health has lead me to making better life choices such as improving my diet and even motivating me to do some cardio! It really was a cascade of events that wouldn’t have started if I had not become a polyphasic sleeper. I now also have a better understanding about my body, and I have gained some very special skills, mental and spiritual. I simply have a better connection with my mind and my body. My sleep has improved, obviously, I can nap whenever it is appropriate now and I wake up feeling refreshed so my energy levels are better throughout the day. Since this post, I have been polyphasic in some form or another for almost 2 years now, and if I stay in control I will never go back to monophasic sleep. Well, it did happen after that. Mostly in the cinema and it still happens when we watch a movie not long before my core in the dark laying in bed. After 6 months polyphasic was already my default lifestyle so it felt as I never did anything else. I changed my schedule to: 11:30-03:00, 06:00-06:25, 13:00-13:25, 20:00-20:25. Mostly because this way I’m able to go to bed with my wife. I still had extra sleeps for quite some time (falling asleep on the sofa) every now and then, but only after my core. Mostly when at 3 am I am sitting there, having nothing to do and not feeling energized enough to start working. I was fine with this, but I didn’t feel more rested afterwards though. On the contrary, usually I felt more tired during the day after these extra sleeps. So if you think you’ll add some extra sleep every weekend, don’t do it. It’ll make adaptation harder, and it won’t give you any benfits later on either. By this time the morning sleepyness is completely gone. In fact, I’m able to do 1-2h of active programming or anything without dozing off (by drinking a cup of coffee after waking up, which I DO NOT RECOMMEND! At least if you’re not already on your schedule for 6+ months). I also can move my naps around anyway I want if my day requires me to as long as I have 3 of them during the day. I keep at least 3 hours between them and never tried being awake for more the 9 hours straight though. I’m not sure if I could actually. Moving my naps around when necessary has no noticeable effect at all. Of course I stay on schedule when there’s nothing important going on. Overall, I’m very happy with polyphasic lifestyle, and I’m not planning to go back to monophasic as long as I don’t have to. Many people told me that this can’t be healthy and what if it’ll have negative effects on the long run. Well, here’s my answer to that: By being on polyphasic, I get one extra waking hour for every four hours of the day compared to when I was being monophasic. So after 4 months I get 1 month extra. I can think of 3 outcomes for my future. 1: For everybody there’s a chance of dieing in some kind of accident. If that ever happened to me anytime soon, I can tell that I lived more than if I was sleeping monophasic. 2: If I’m lucky enough not to have any fatal accidents, but I get Alzheimer’s, or live 10-15 years less because polyphasic, I’m still fine with that. And the reason for that is I’m sure if you ask any 60 years old if he/she would like to live 10 more years as 25 years old, and then die rahter than living 20 years as 60-80 years old, most of them would say yes without thinking. And that’s what I’m doing right now. If polyphasic proves to be harmful on the long run I still traded my being old, weak, sick, medicine-taking, being on pain the whole day, hard moving, doctor visiting days to young, healthy and fun-having days. Even if not trading them on a 1:1 ratio, I still think it’s a great deal. 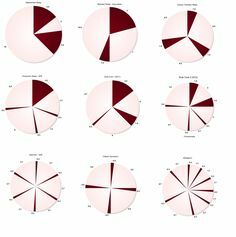 3: If polyphasic proves to have no negative effects or only minor ones, or even to be actually more healthy than monophasic, I won big time! So here you go, I hope you liked it, share your story too! I have started Polyphasic Sleeping (PS) from more than 10 years ago (Around 2007, I guess?). It’s been a long journey – PS and me. I have countless starts and giving-ups. And have begun again around 1 year ago. And I can’t thank PolyphasicSociety enough since it’s the most informative site out there can tell the story without much exaggerations (Like some other trending sites). Guess that’s from a true practitioner for you. What PS brings to me: motivation, satisfy my ambition, better health/awareness, good habits and many other things. 1. Don’t just try the sleep schedule! You must practice Adaptation well. It’s the key to successful PS. 2. There will be uncontrollable moments in your life which destroy your PS habit. Don’t give up just yet. But don’t be too hard on yourself either. Take your time, give it a rest, re-read these articles, and try again. It breaks my heart to hear that PS is about to close down some times ago but now you’re as strong as ever! Congratulations! I know it’s hard to continuously maintain the work while you have so much more to do without getting exhausted. But I hope PolyphasicSociety will still be there, stand strong, to share meaningful knowledge to the world. Wow! Thanks for the tips and this awesome testimonial! I have been using polyphasic sleep as treatment for chronic pain exacerbated by inactivity. I used to get up in the morning, in extreme pain, and not realy get going until my second dose of meds. I now take meds and supplements, and sleep a bit every six hours. I’ve been doing this for around 20 years, and it has transformed my life. I’m 65, and work every bit as hard as I did at 30-40, put in 12 days, outside, or in the shop, except in the worst of Winter. Then I do more, inside. I encourage anyone with chronic pain aggravated by sleeping, to try polyphasic sleep patterns. No more getting hurt by sleep, and your bed. It really is that simple. Don’t lie down as long, don’t hurt as much, if, at all. I was kind of surprised when i realized 5-6 months ago I’ve had a goofy sleep cycle for 20 years. I did it at a time of frustration, extreme chronic pain, and it worked, so I just keep doing it. Seldom have any issues, I don’t fall asleep at shops, or anywhere else. I am limited to sleeping in my reclining bed; I can’t lay flat on my back, or my arms go numb, then hurt, like hell on Earth. But, I don’t feel the need, I have loads of energy, I have my entire life.